As some of you know by now, we’ve had a tough two months, but hopefully that is at an end now! Like I said in my post Sometimes even bad events can turn into something good, it happens sometimes that good come from bad events in our lives—seen from a human point of view. Well, apart from the new Sony SLT-A37K I received from my insurance, I finally got the rest of my stuff stolen from the first burglary replaced. So, now that whole set has been replaced! I was given a genuine Sony, model SAL55300, DT 4.5-5.6/55-300 SAM, zoom lens; the original external flash was replaced; the camera bag was replaced with a much better one and I was also given a UV filter that I didn’t have before. I am very happy with what I got this time. 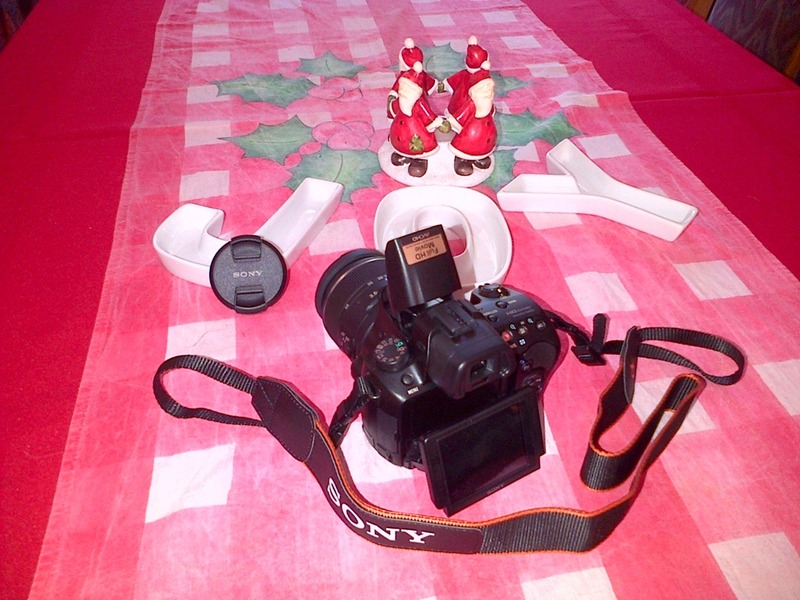 When I bought my original camera, zoom lens and external flash, it all came to R4,500 ($517). The value of the replacements came to R15,000 ($1,724). Everything I had was upgraded except the external flash. They gave me exactly the same as I had before (for only 4 days, BTW!). And, for all of this, all I had to do was pay an excess of R1,850. That concludes the saga of the first burglary! 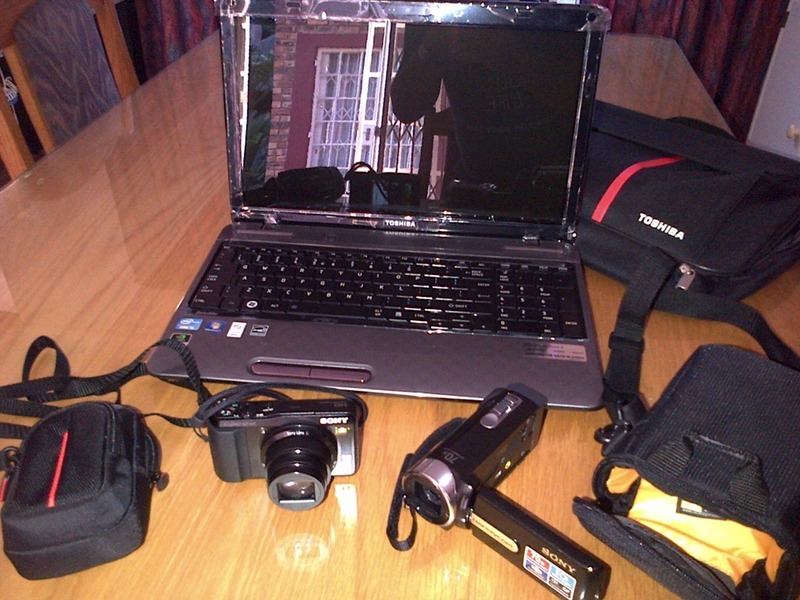 At the 2nd burglary (21 Dec 2012), just two weeks after the first, my Samsung Pro815 camera (with bag), my old Lenovo 3000 C100 laptop (with bag) and an older Sony video camera that still used tape (with bag) were stolen. These were finally replaced and I picked up the replacements on Wednesday (9 Jan). Once again, it is a major upgrade for each of the items that were stolen. My old Lenovo (80Gb HD, 512Mb RAM) was replaced with a Toshiba Satellite L755—S1M2 (500Gb HD, 4Gb RAM). In place of the Samsung camera (8.1MP, 15x optical zoom) I asked if I could look at some other compact cameras and I decided to take the Sony Cybershot DSC-HX20V (18.2MP, 20x optical zoom, full HD movie 1920×1080). The old Sony mini-tape camera was replaced by the Sony Handycam DCR-SX22E ( 60x optical zoom, Steady shot Stabilisation). Each of these items were replaced with their bags and I was also given two 16Gb SD cards. The Sony Cybershot was way cheaper than replacing the Samsung Pro815, and so with the difference it created between the original quote and what I actually took, I ended up not having to pay the excess of R1,850. What a deal! 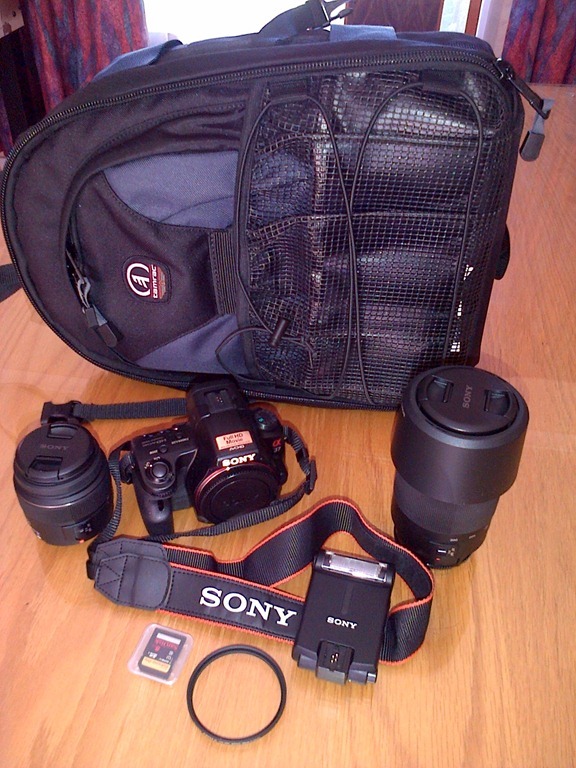 I got equipment to the value of about R13,500 ($1,552)! So, now that everything has been replaced I am very happy, especially with the replacements themselves. As you may have read in my previous post, crime in South Africa paid me two visits in the past two weeks and a day. The first one was on 7 December (visit number 1 – V#1) and the next on 21 December (visit number 2 – V#2). Well, just yesterday, good came from V#1! 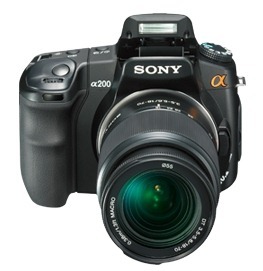 In V#1 my Sony A200 DSLR camera with lenses and external flash and 2 compact flash cards were stolen. Two days ago, the claim that I made against my insurance was eventually finalized, and so I drove through to Fourways from my home in Pretoria (about 52Kms), to pick up my new camera at Digital Experience. Unfortunately, they did not have my lenses in stock, and that had to be back-ordered and I will probably only get them sometime in January 2013. However, the replacement that the insurance company got for me is definitely a huge step up from my α200. 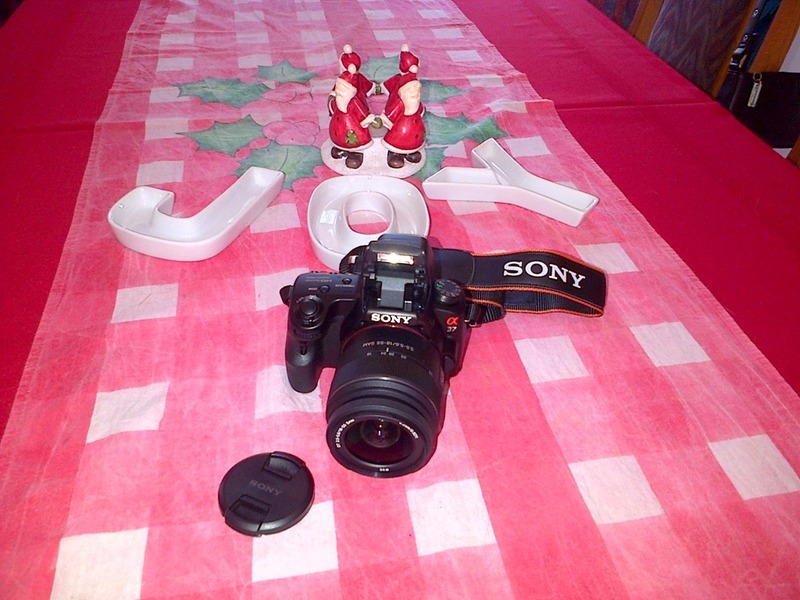 I was given a Sony SLT-A37K! Apart from the step up in megapixels (α200 had 10.2 MP and the α37 has 16.1MP), there are a number of other improvements. Ok, I know that for many of you this is probably a very cheap camera and that you are probably thinking what the heck I was so excited about. Well, this is only my second DSLR and I do not have the money to be extravagant. So, for me, this is way beyond my budget! Well, all I can say is that I am very happy with the new cam and as soon as I can get a break, I will go out and take some pics. From what I have seen while playing with it, the pics are much clearer and especially the macro function delivers much clearer and sharper pics. So, sometimes even bad events can turn into something good!